Tennessee’s highest-rated commitment in the 2019 class, offensive tackle Wanya Morris, was the most impressive offensive lineman at Nike’s The Opening on Sunday according to Kipp Adams of 247Sports. Adams is over in Frisco, Texas to watch The Opening Finals as they take place over a five-day stretch. The offensive linemen went through drills on Sunday, and according to him, the biggest standout of the group was Tennessee commit Wanya Morris. Morris, who is a five-star and No. 24 overall player in the 2019 class according to the 247Sports Composite rankings, earned Adams’ “Alpha Dog” award for Sunday’s performance. And Adams had nothing but glowing remarks for the performance Morris put on. Thibodeaux is the No. 1 overall player in the 2019 class according to the 247Sports Composite rankings, so losing a rep to him is nothing to worry about. Morris still dominated in his other reps, and he handled top-100 overall player Kevin Harris just fine. Morris stood out among a group of offensive linemen that included five-star and No. 1 offensive tackle Darnell Wright, five-star Kardell Thomas, five-star Clay Webb, five-star Kenyon Green, five-star Pierce Quick, top-50 overall player Evan Neal, and four-star Doug Nester among others. Morris, who plays for the talent-rich high school of Grayson down in Loganville, Georgia, committed to the Vols back on May 1st. 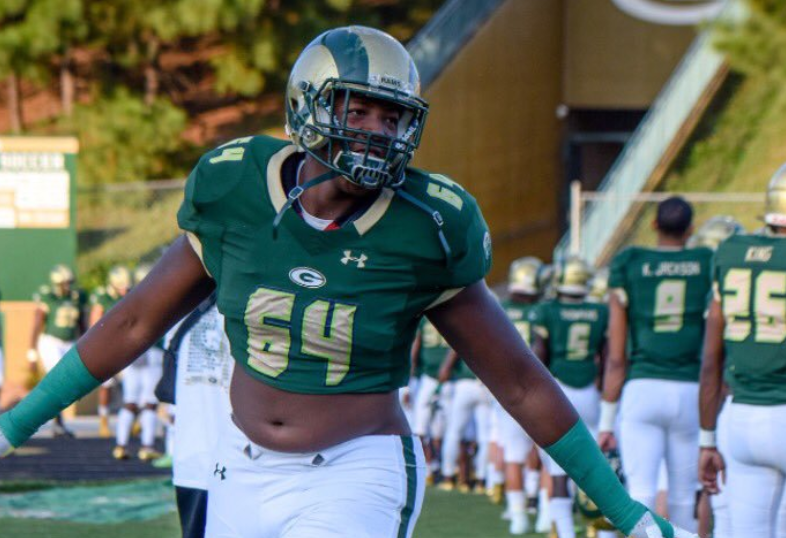 He was a high four-star tackle at the time, but he’s steadily risen up recruiting rankings as the summer has gone on after he’s dominated at various camps. And his performance at The Opening will only help solidify his stock as one of the top offensive tackles in the 2019 class. One of the Vols’ top remaining targets in the 2019 class, Darnell Wright, also had a good performance on Sunday according to Adams. Wright is rated by the 247Sports Composite rankings as the No. 1 offensive tackle and No. 5 overall player in the 2019 class. He’s unofficially visited the Vols twice in 2018. The only other school he’s visited that much this year has been North Carolina. Tennessee needs immediate help on the offensive line next season, and it looks like they have it with Wanya Morris. If they can add Wright to this class as well, then the Vols will have two potential instant impact players on the line next season.